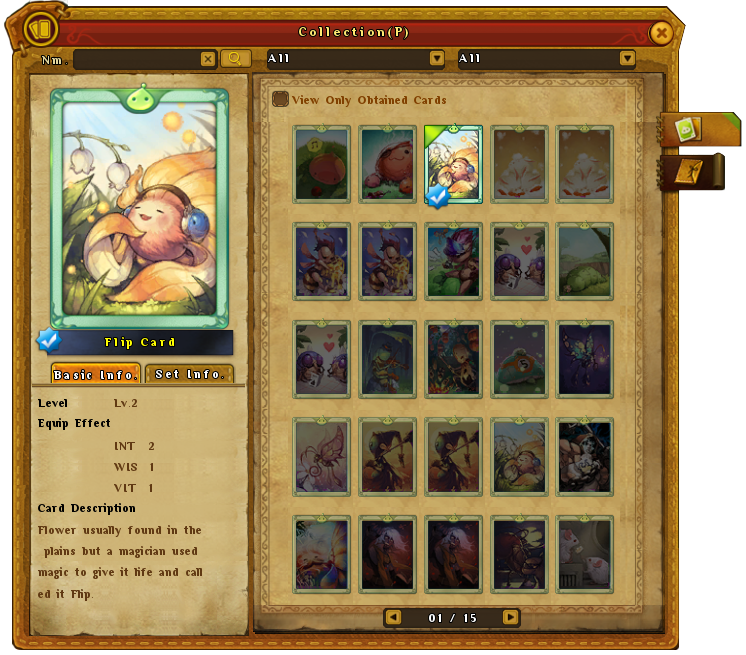 The Card System is back in a new and unexpected way in Ragnarok Online 2! You'll still be able to collect familiar cards, such as Poring Cards and Lunatic Cards! 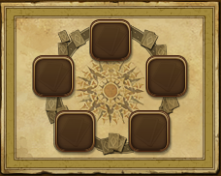 Instead of equipping to your equipment, these cards will become a part of your character, bestowing their stats into one of five slots available! At level one, you will have access to one card slot, but at max level you will five slots open to use cards on! When you open your Card Collection, you'll be able to see all the cards that you have obtained as well as all the cards you can possibly obtain! Fight many enemies and fill your Collection!